A small but promising study has shown that an experimental stem cell therapy can dramatically slow the progression of multiple sclerosis. Some MS patients treated with their own stem cells even experienced a reversal of their symptoms that has lasted for years. MS is a chronic, incurable and progressive disease that attacks the body’s central nervous system, causing numbness in the limbs, difficulty walking, paralysis, loss of vision, fatigue and pain. The disease affects over 2 million people around the world. An international team of researchers enrolled 110 patients in the study with relapsing-remitting MS, a version of the disease where symptoms appear for a few days or weeks, followed by periods of remission. Half of the patients were treated with standard MS medications as a control group, while the other half went through a four-step experimental procedure. The experimental group was given chemotherapy to stimulate the production of hematopoietic stem cells that recharge the immune system. Those stem cells were then removed from the patients’ blood and frozen. After that, a more powerful round of chemotherapy was used to wipe out the patients’ damaged immune systems, and the thawed stem cells were put back into their bodies by transfusion. Over half of the 55 patients in the control group continued to see their disease progress, while only three patients got worse in the experimental stem cell group. The other 52 had fewer symptoms and a better quality of life. The findings were reported in the journal JAMA. “The stem cell therapy gets patients off lifelong treatments and gives them results that have never been seen before with this disease,” said lead author Richard Burt, MD, a stem cell researcher and physician at Northwestern University. One of Burt’s patients who benefited from the stem cell transplant is 28-year old Amanda Loy, who told Vox that prior to treatment she needed a cane to walk and was unable to work. Within a year of treatment her symptoms had disappeared. “It sounds so dramatic, but (the treatment) gave me my life back,” said Loy, who now works as a full-time teacher, runs half marathons and plays soccer with her 10-year-old son. She no longer takes MS medication. Researchers still don’t know if the stem cell therapy will work with other forms of MS or how long the benefits will last. But it’s the first treatment that has shown the potential to actually reverse the disease. A recent study by Australian researchers found that another experimental stem cell therapy shows promise in treating patients with progressive multiple MS, the most difficult-to-treat form of the disease. Scientists at the University of Queensland extracted immune cells from patients who had either primary or secondary progressive MS. The cells – known as T-cells – were then “trained” in a laboratory to target and kill cells infected with the Epstein Barr virus, which has long been associated with MS. When the altered T-cells were injected back into the bloodstream of 10 patients, seven said their symptoms improved. They had more energy, improved concentration, slept better, and had improved vision and balance. There were no serious side effects. When Shane the therapy dog was hit by a Jeep, life changed for him and his guardian, Taryn Sargent. The impact tore through the cartilage of Shane's left shoulder. Arthritis and scar tissue set in. Despite surgery, acupuncture and several medications, he transformed from a vibrant border collie who kept watch over Sargent on long walks to a fragile pet who needed extensive care. "Sometimes he would just stop walking and I'd have to carry him home," recalls Sargent, who has epilepsy and relies on her walks with Shane to help keep her seizures under control. "It was a struggle to see him in that much pain." Thus far, the opioid-free, long-lasting immune modulator known as XT-150 has been tested in more than 40 Colorado dogs with impressive results and no adverse effects. With human clinical trials now underway in Australia and California, Watkins is hopeful the treatment could someday play a role in addressing the nation's chronic pain epidemic. "I'm hoping the impact on pets, their guardians and people with chronic pain could be significant," said Watkins, who has worked more than 30 years to bring her idea to fruition. "It's been a long time coming." Watkins' journey began in the 1980s when, as a new hire in the department of psychology and neuroscience, she began to rock the boat in the field of pain research. Conventional wisdom held that neurons were the key messengers for pain, so most medications targeted them. But Watkins proposed that then-little-understood cells called "glial cells" might be a culprit in chronic pain. Glial cells are immune cells in the brain and spinal cord that make people ache when they're sick. Most of the time, that function protects us. Watkins proposed that in the case of chronic pain, which can sometimes persist long after the initial injury has healed, that ancient survival circuitry somehow gets stuck in overdrive. She was greeted with skepticism. "The whole field was like 'what on Earth is she talking about?'" She and her students hunkered down in the lab nonetheless, ultimately discovering that activated glial cells produce specific inflammatory compounds which drive pain. They also learned that, after the initial sickness or injury fades, the cells typically produce a compound called Interleukin 10 (IL-10) to dampen the process they started. "IL-10 is Mother Nature's anti-inflammatory," she explains. "But in the onslaught of multiple inflammatory compounds in chronic pain, IL-10's dampening cannot keep pace." Over the years, she and her team experimented with a host of different strategies to boost IL-10. They persisted and, in 2009, Watkins co-founded Xalud Therapeutics. Their flagship technology is an injection, either into the fluid-filled space around the spinal cord or the site of an inflamed joint, that delivers circles of DNA in a sugar/saline solution to cells, instructing them to ramp up IL-10 production. With financial help from the National Institute of Neurological Disorders and Stroke, the MayDay Fund and CU's Technology Transfer Office – which has provided intellectual property support, assistance with licensing agreements, and help obtaining a $100,000 research grant in 2018 – Watkins is edging closer to bringing her idea to clinical practice. She has teamed up with veterinary chronic pain specialist Rob Landry, owner of the Colorado Center for Animal Pain Management in Westminster, to launch the IL-10 research study in dogs. Their results have not been published yet. But thus far, the researchers say, the results look highly promising. "They're happier, more engaged, more active and they're playing again," said Landry, as he knelt down to scratch Shane's belly after giving him a clean bill of health. With Shane able to accompany her on her walks again, Sargent has also seen her quality of life improve. Her seizures, which increased in frequency when Shane was injured, have subsided again. Because the treatment is so localized and prompts the body's own pain-killing response, it lacks the myriad side effects associated with opioids – including constipation and dependency – and it can last for many months after a single injection. Ultimately, that could make it an attractive option for people with neuropathic pain or arthritis, Watkins says. This summer, Xalud Therapeutics launched the first human study in Australia, to test the safety, tolerability and efficacy of the compound. Another one-year clinical trial of 32 patients with osteoarthritis of the knee is now underway in Napa, California. More research is necessary in both pets and people, Watkins stresses. But she's hopeful. "If all goes well, this could be a game-changer." For someone with peripheral neuropathy, even the slightest touch can cause burning, stinging or shooting pain, usually in the hands or feet. The pain is caused when the peripheral nervous system is damaged by diabetes, shingles, chemotherapy or some other medical condition. About 8% of adults worldwide suffer from some form of neuropathy. Medications prescribed to dull the pain – such as opioids, anti-depressants or gabapentin (Neurontin) -- often prove to be ineffective, don’t last long or have unwanted side effects. Scientists in Italy have now discovered an experimental way to treat neuropathy that provides pain relief for weeks at a time without the use of medication. In experiments on laboratory mice, researchers at the European Molecular Biology Laboratory (EMBL) in Rome identified a specific set of nerve cells in mouse skin that play a significant role in neuropathic pain. When injected with a light-sensitive chemical and then exposed to infrared light, the nerve cells pull away from the skin’s surface and stop sending pain signals. The pain-relieving effects of the light therapy appear to last for weeks. 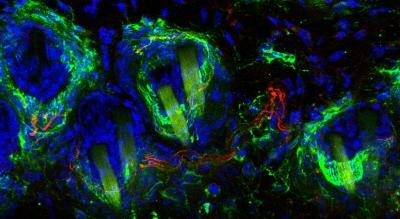 The accompanying image shows the skin of a mouse, with the nerve cells that are responsible for sensitivity to touch highlighted in green. The neurons are primarily located around hair follicles. The EMBL's research, first reported in the journal Nature Communications, is still in its early stages. But scientists say human skin tissue is similar to that of mice, indicating that light therapy might be effective in managing neuropathic pain in humans. "In the end, our aim is to solve the problem of pain in both humans and animals," says Paul Heppenstall, PhD, EMBL group leader. "Of course, a lot of work needs to be done before we can do a similar study in people with neuropathic pain. That's why we're now actively looking for partners and are open for new collaborations to develop this method further, with the hope of one day using it in the clinic." Heppenstall says light therapy works on the treated nerve cells the same way spicy food or capsaicin patches can cause nerve fibers to retract. "It's like eating a strong curry, which burns the nerve endings in your mouth and desensitizes them for some time," says Heppenstall. "The nice thing about our technique is that we can specifically target the small subgroup of neurons causing neuropathic pain." There are many different types of nerve cells in skin, which respond to different sensations like vibration, cold, heat or normal pain. Researchers say those cells are not affected by the light treatment. The skin is only desensitized to a gentle touch, breeze, or tickling. Previous attempts to develop drugs to treat neuropathic pain have mostly focused on targeting single molecules. "We think however, that there's not one single molecule responsible, there are many," Heppenstall explains. "You might be able to succeed in blocking one or a couple, but others would take over the same function eventually. With our new illumination method, we avoid this problem altogether." The neuropathic pain in mice was assessed with a simple touch. The mice would normally quickly withdraw their paw when it was gently touched, but after light therapy they exhibited normal reflexive response to touch. The effect of the therapy lasted for a few weeks, until the nerve endings grew back and the gentle touch caused pain again. I’m a 43-year-old physician who retired due to illness at the age of 39. I have a rare genetic disease called acute intermittent porphyria (AIP), an extremely painful and disabling condition. Due to an enzyme deficiency, AIP causes toxins to buildup in the liver. The symptoms of porphyria are primarily neurological with the most notable being abdominal pain -- a burning sensation that is almost unbearable. The pain is similar to what I’d imagine it would feel like to have a blowtorch placed against my stomach and back. Unfortunately, I am in that 10 percent. Initially, I only had monthly attacks lasting 3-5 days, starting in my teenage years. Somehow, I managed to complete my education and training and became a physician despite that. I was not finally diagnosed with AIP until the age of 39, when I suffered a life-threatening porphyria attack. It was almost too late for me at that point, as the attack was so severe that I was no longer able to work or do much at all. There is a one percent mortality rate during each AIP attack and I’ve had hundreds of them, so I’ve been lucky. My older brother died unexpectedly at the age of 39. Genetic testing of autopsy samples later determined he had the same AIP gene mutation as I have. He died prior to my diagnosis and his gene mutation was discovered as I lay in a hospital bed being told my diagnosis. At first, I felt such strong relief that my life was saved and sadness for my brother. But as the months passed, and I became sicker and more in pain, I started feeling a bit jealous of my brother. He was able to at least die with some dignity and is no longer suffering. The pain that I experience is severe and the only thing effective enough to bring it down to tolerable levels is opioid medication. I’ve tried everything possible. Pain is a subjective experience and only the person experiencing it can know the severity and what helps to improve it. I have difficulty understanding the response from some in the medical community, government, media and general public, who are so focused on “opioid addiction” that they are unable to see patients like me and empathize with us. The media’s response has been extremely damaging. It seems people do not understand that addiction is a separate issue from pain management. Why is it that every time prescription pain medication is discussed, it's only in reference to addiction and the opioid epidemic? What about people like me who live with a life-threatening and severely painful disease? Not many reporters seem interested in that side of the story. I have watched now as countless pain patients have taken their own lives due to discontinuation of their pain medication, often without any warning or consent. Physicians are not the problem in this. Physicians want to help patients. Physicians are being misled, brainwashed and even punished into thinking that prescription opioids usually lead to addiction. Fortunately for patients like me, palliative care is a growing field and I’m so appreciative of my palliative care physician. I’m frightened for the future, not only for myself, but really for everyone. Pain affects everybody at some point in their lives. Whether it’s you, a family member or a friend -- pain will be there. Everybody should be afraid of the direction where things are going. Even cancer patients at end of life are being denied appropriate pain treatments. Insurance companies are denying coverage for pain medications and getting away with it. I encourage everyone to please use common sense in this climate where the pendulum has swung too far in the wrong direction. Lisa Kehrberg, MD, is a retired family practice physician who specialized in pain management. You can read more about Lisa at the American Porphyria Foundation’s website. The U.S. Food and Drug Administration has approved a new extended-release version of Lyrica for the treatment of neuropathic pain. Lyrica CR is designed to be taken once a day, instead of the two or three doses recommended for Lyrica’s original formulation. Pfizer said the effectiveness of Lyrica CR was established in a clinical trial of over 800 patients with neuropathic pain. Patients who took Lyrica CR had a 74% reduction in pain, compared to about 55% who took a placebo. The most common side effects of Lyrica CR were dizziness, somnolence, headache, fatigue, peripheral edema, nausea, blurred vision, dry mouth and weight gain. 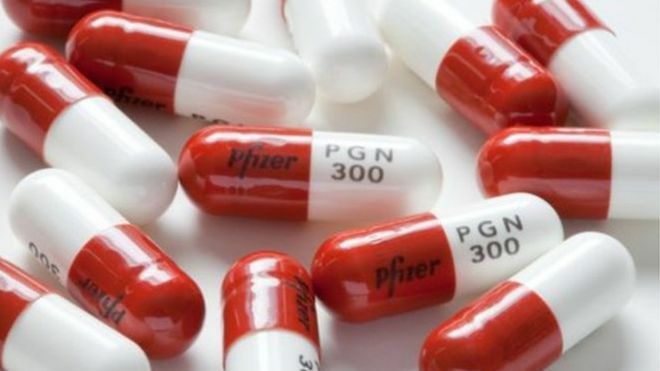 Lyrica (pregabalin) is one of Pfizer’s top selling drugs, but the company will likely face strong competition from cheaper generic versions of pregabalin when its U.S. patent expires next year. Pfizer is undoubtedly hoping that current Lyrica users will switch over to the new extended release version, which will have full patent protection for many years to come. The company did not release any information on the cost of the new drug, which is expected to be available in January. Unlike the original formulation of Lyrica, which is widely prescribed to treat fibromyalgia, Lyrica CR is only approved to treat nerve pain caused by diabetic peripheral neuropathy and postherpetic neuralgia caused by shingles. But that won’t stop doctors from prescribing it off-label to fibromyalgia and other chronic pain conditions. The extended release version of Lyrica comes at a time when pregabalin is drawing new scrutiny from researchers and doctors who believe the medication is over-prescribed and being abused. Pregabalin belongs to a class of nerve drug known as gabapentinoids, which are increasingly being prescribed as alternatives to opioid pain medication. As PNN has reported, the World Health Organization and the FDA are also investigating reports that pregabalin is being abused. Addicts have learned pregabalin enhances the effects of heroin and other opioids. 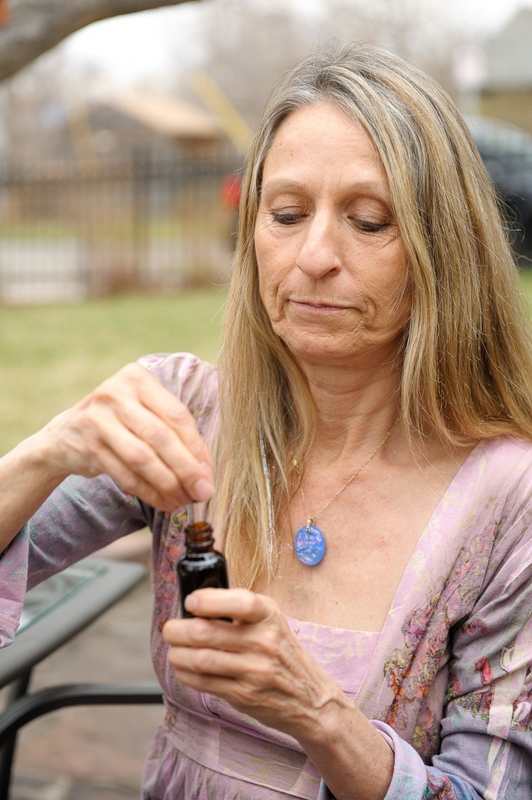 “Reports indicate that patients are self-administering higher than recommended doses to achieve euphoria, especially patients who have a history of substance abuse, particularly opioids, and psychiatric illness. While effects of excessively high doses are generally non-lethal, gabapentinoids such as pregabalin are increasingly being identified in post-mortem toxicology analyses,” the FDA said in a recent notice published in the Federal Register. The warning label for Lyrica CR will caution users that the drug can be abused. “Patients should not drink alcohol while taking Lyrica CR. Patients may have more dizziness and sleepiness if taking Lyrica CR with alcohol, narcotic pain medicines, or medicines for anxiety. Patients who have had a drug or alcohol problem may be more likely to misuse Lyrica CR,” the label warns. Pregabalin is classified as Schedule V controlled substance in the U.S., which means it has a low potential for abuse. Researchers at The University of Texas have discovered a potent non-opioid pain reliever that acts on a previously unknown pain pathway. They say the synthetic compound, known as UKH-1114, is as effective at relieving neuropathic pain in laboratory mice as gabapentin, but lasts much longer. Now scientists need to find out if drug is safe, effective and nonaddictive in humans -- a process that could take years. "This opens the door to having a new treatment for neuropathic pain that is not an opioid," said Stephen Martin, a chemistry professor at The University of Texas at Austin. "And that has huge implications." UKH-1114 binds to a receptor on cells in the central nervous system called the sigma 2 receptor. Although it was discovered 25 years ago, scientists did not know what sigma 2 did until now. Theodore Price, an associate professor of neuroscience at The University of Texas at Dallas, tested UKH-1114 on mice with nerve damage and found that it alleviated pain as well as gabapentin did, but was effective much longer -- lasting for a couple of days, compared to 4 to 6 hours. Price’s research was the first to demonstrate that the sigma 2 receptor may be a target for treating neuropathic pain. "We started out just working on fundamental chemistry in the lab," said James Sahn, a research scientist at The University of Texas at Austin. "But now we see the possibility that our discoveries could improve the quality of people's lives. That is very satisfying." Sahn and his colleagues have filed patent applications on the new compound. Their findings have been published in the journal ACS Chemical Neuroscience. An earlier paper on the sigma 2 receptor was published in the journal Proceedings of the National Academy of Sciences. Chronic neuropathic pain is caused when nerves in the central nervous system are damaged by chemotherapy, shingles, diabetes or injuries to the brain or spinal cord. About 8% of adults worldwide suffer from some form of neuropathy. Diabetic peripheral neuropathy causes nerves to send out abnormal signals. Patients can feel stinging or burning pain, as well as loss of feeling, in their toes, feet, legs, hands and arms. Nearly 26 million Americans have diabetes and about half have neuropathy, according to the American Diabetes Association. 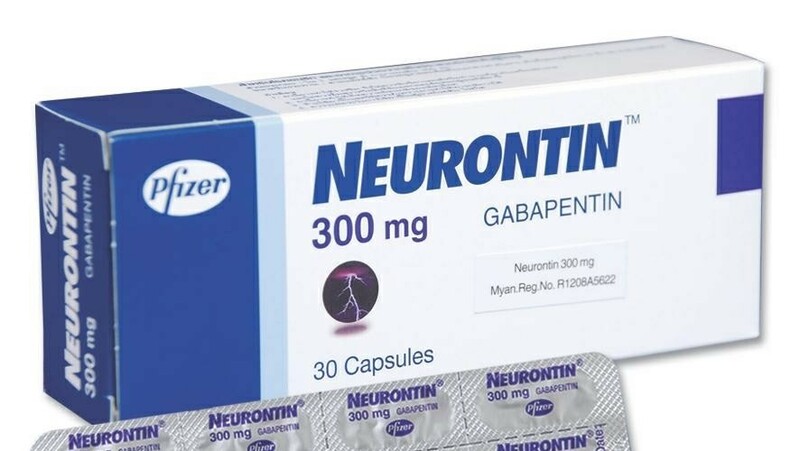 Many patients say drugs commonly used to treat neuropathic pain, such as gabapentin (Neurontin) and pregabalin (Lyrica), either don’t work or have unpleasant side effects such as dizziness, fatigue and diminished cognitive ability. Some doctors also feel the drugs are being overprescribed as alternatives to opioid pain medication.